The cast of the First United Methodist Church Cinderella production poses for a photo. The musical was performed on three consecutive days, from March 1 to March 3. The dark musical play of "The Addams Family"
The age-old tale of Cinderella has been portrayed in a multitude of books, plays and movies. 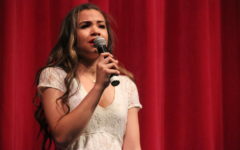 On Thursday, the First Methodist Church of Coppell performed its own version on stage – an adaption of the Broadway version of Rodgers and Hammerstein’s “Cinderella”, which debuted in 2013. Emily Baker directed the show, with Ricky Mitchell providing musical direction and Whitney Bollinger in charge of choreography. A live orchestra provided music for the show, keeping the audience on the edge of their seat and enhancing the story. 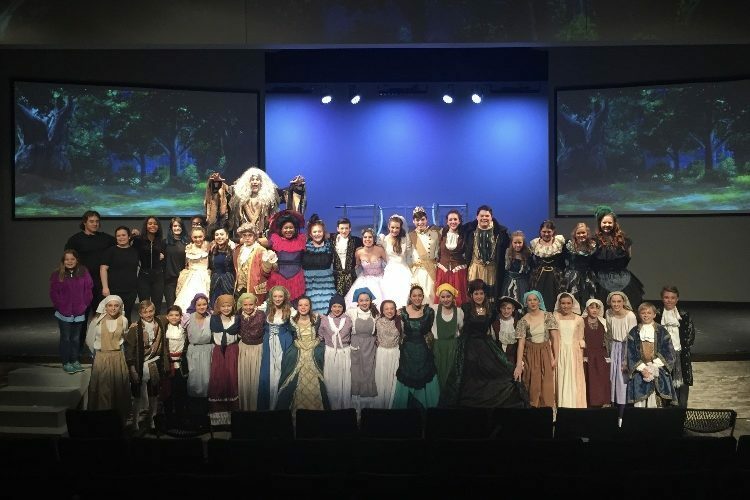 “Cinderella” is the most expensive show FUMC has ever produced, costing more than $30,000 total, and it all paid off with an extremely high-quality end product. The plot of the musical was similar to the classic Cinderella story, with a few alterations. Many humorous lines were laced into the dialogue, leaving the audience roaring with laughter multiple times every scene. The show ran approximately two hours long, with a short intermission after the first act. During the intermission, audience members had the opportunity to fill out an index card with words of encouragement, and drop the card into a bag with a cast member’s name on it. The concession stand was also open. Many of the actors were students of Coppell ISD and/or the FUMC church, although it was not a requirement. The cast has been hard at work for over four months, as auditions were in early November. 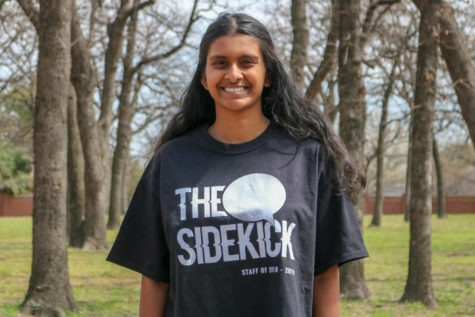 After countless grueling hours of collaborating on the production, the cast has grown into a tight knit group, and they will miss each other after the last showing on Saturday. For several of the actors, acting has been a passion since a young age. James Goode, who plays the character of Sebastian, has been interested in the art since age 5, and Welsh, who portrayed the character of Cinderella, from age 6. The actors’ experience was made clear when issues with their microphones rose, and they had to improvise to minimize disruption. But although they are experienced, many still suffer feelings of anxiety before the show – feelings which usually fade after a few minutes on stage.